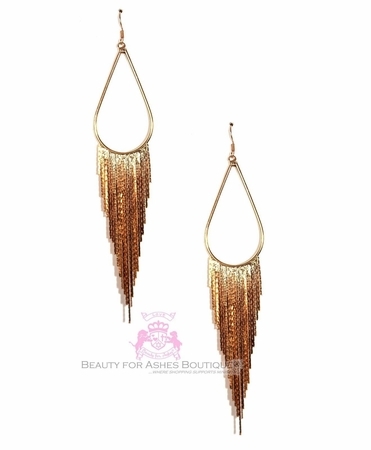 Absolutely Gorgeous fringed goldtone chandelier drop earrings. Fish hook style earrings measure 6" long and are lightweight. These earrings look fantastic on and go with anything! Also available in silvertone and hematite in a separate listing.